Whole House Ventilation – Why Do We Need to Ventilate? 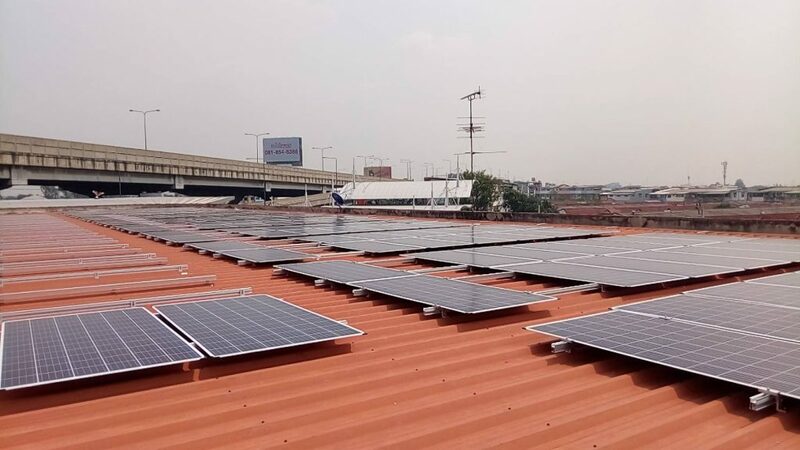 This installation was installed for self-consumption only, with zero export to the grid, the customer (Toyota, Don Muang), will use the energy generated from the Solar PV system for their day time requirements. As the showroom is open seven days per week the system can run continuously. If the showroom was only open six days per week then it would need to be shut down on the day that it was closed, or it would overproduce and generate excess, wasted energy. 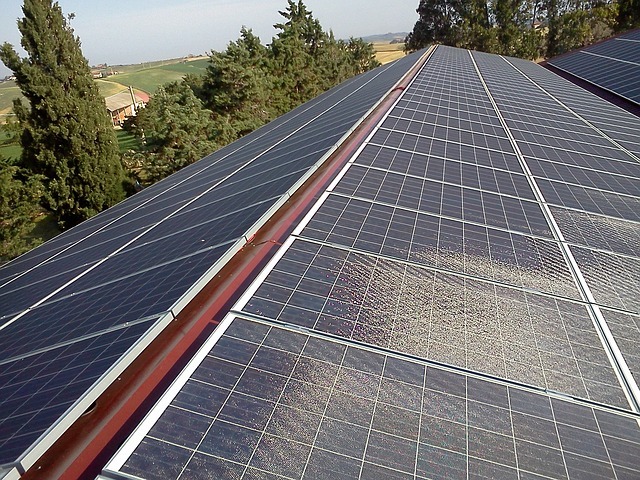 At this time the MEA/PEA do not allow exporting excess energy to the grid. 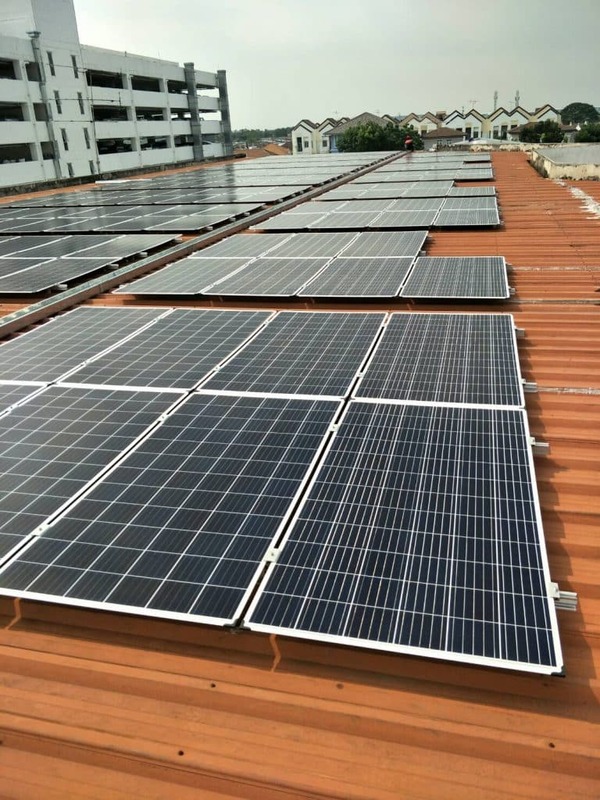 The installation of the Solar panels was on the main Toyota showroom, spread over two roof tops, the roof type was metal sheet type. 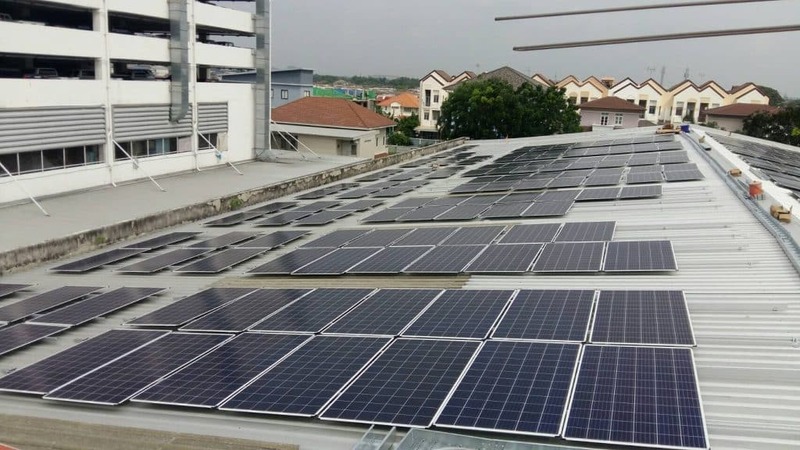 We (Kunini Electrical Services) used Chiko brand Solar mounting designed for metal sheet; using standard L-Feet (brackets) with specially designed aluminum rails, end clamps, mid clamps, earthing clips etc. 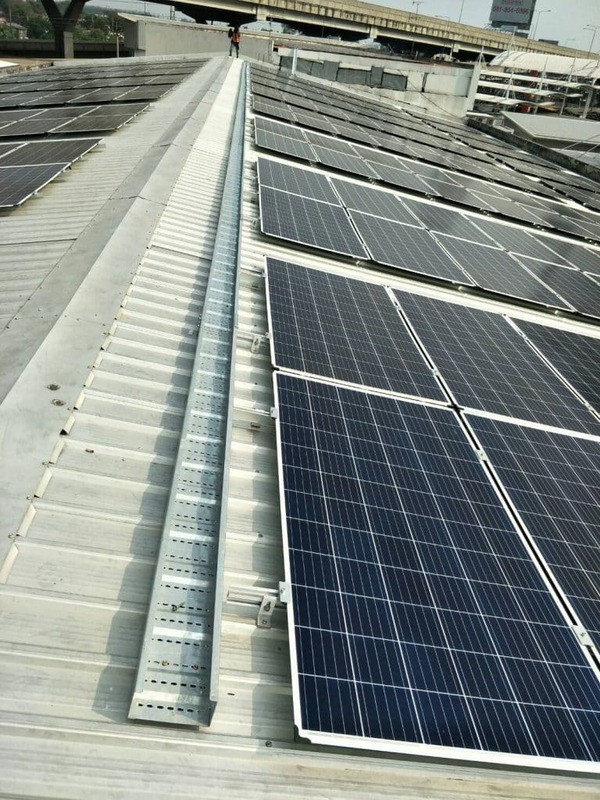 The system comprises 560 Jinko Solar Panels, the new Jinko Eagle Dual 72 Cell, 320Wp, Polycrystalline Panels (frameless) were used on this project, special care needed to be taken during the delivery and installation on the roof as these panels are frameless and flexible. 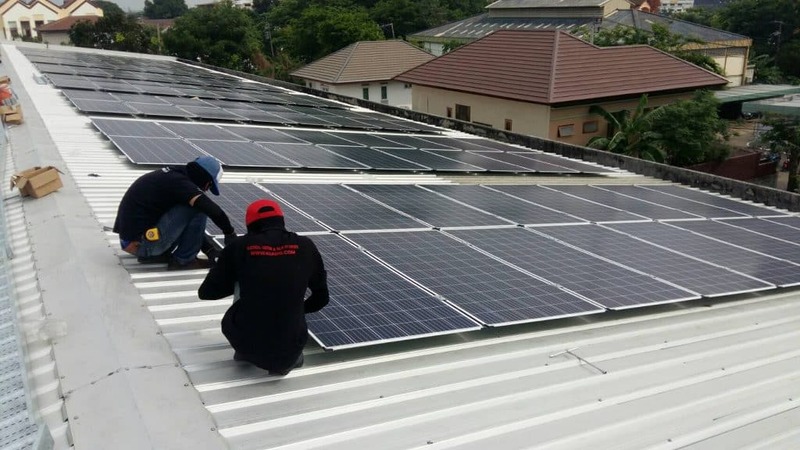 Kunini’s Solar team installed the system to pre-designed layout calling for 35 strings, each string having 16 Solar Panels per string. Galvanized wire trays were used as containment for all cables, and flexible waterproof conduits were used from the wire trays to each string / array. 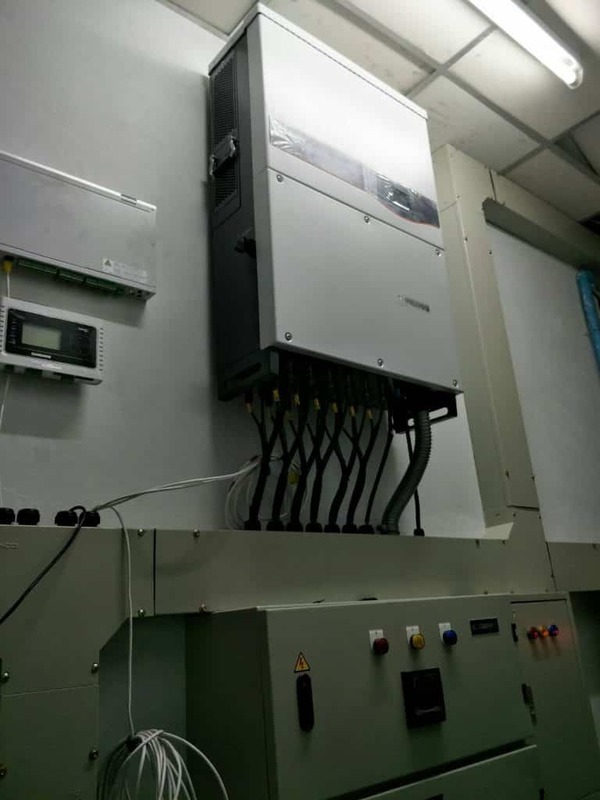 The system has three Sungro SG60TL Inverters connected to an AC Combiner Box which houses the protection for the system. 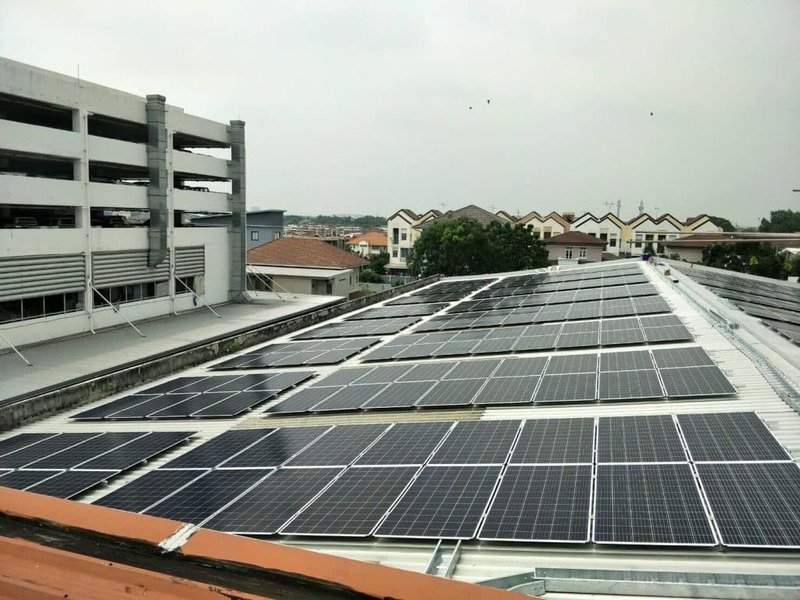 The installation was carried out by our Solar team, the racking (solar mounting structure), and all the solar panels was installed in nine days, we were pretty impressed by the how quick our team was, our budgeted timeline for this segment was fifteen days. Installation of the wire tray, cables and general work on the roof was another seven days, bringing the total timeline for the installation to just over three weeks. Seventy pairs of cables were run to the control room, along with a grounding system for the entire array. 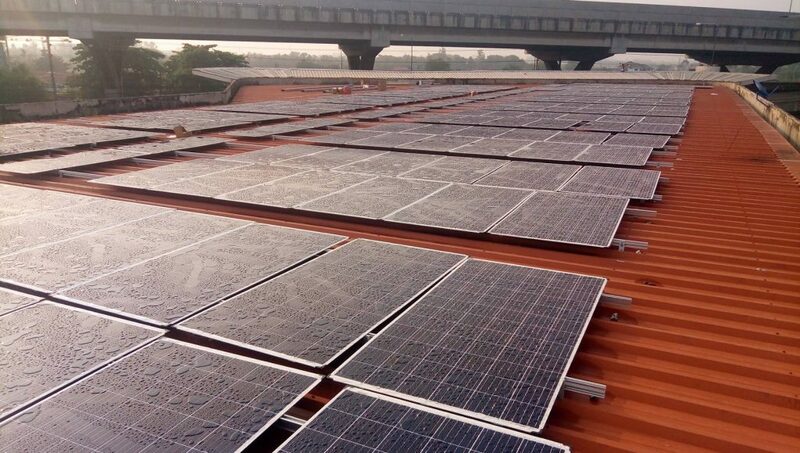 A total of 140 connectors were installed; MC4 connectors are special connectors to connect the solar panels to the string cables which then connect to the Solar Inverters. 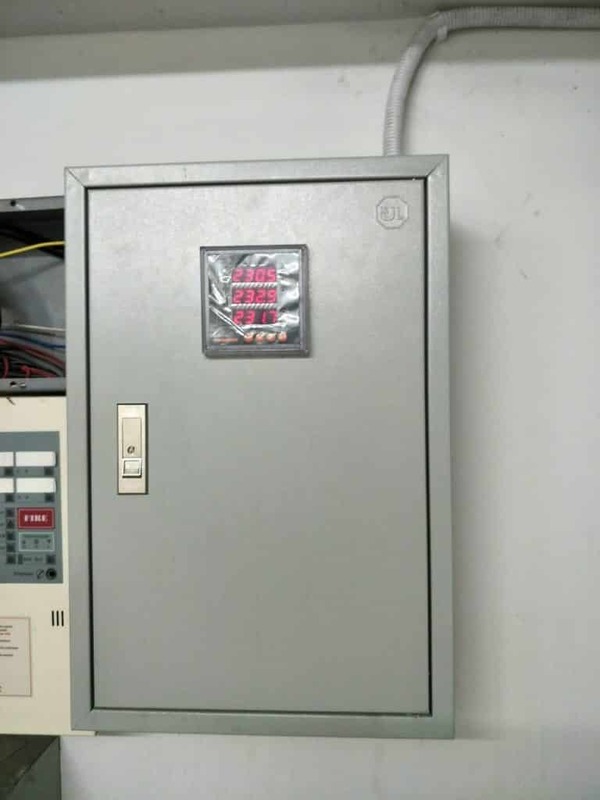 Inside the control room we installed an AC Sub Distribution Panel which supplies AC power to the three inverters. 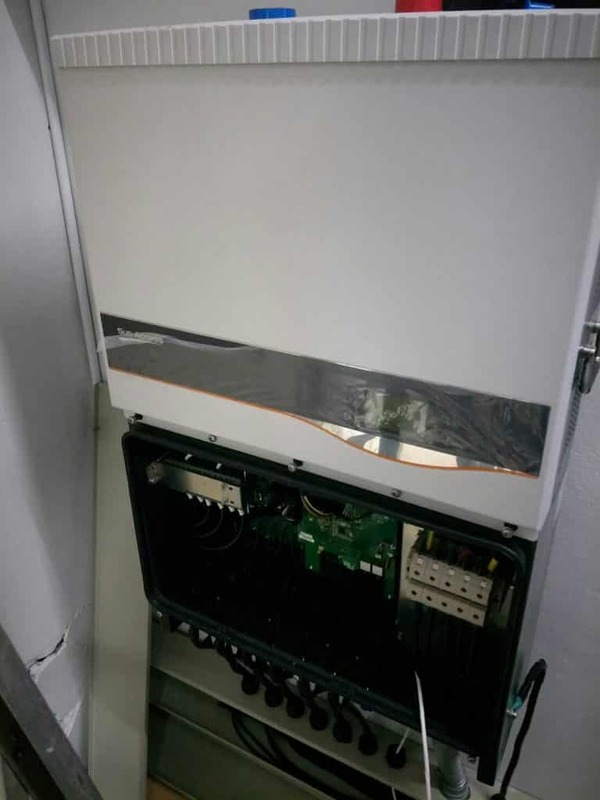 In addition, we installed an individual MCCB between the MDB (main distribution board), and the Solar Sub DB allowing for safe isolation of the system for servicing. 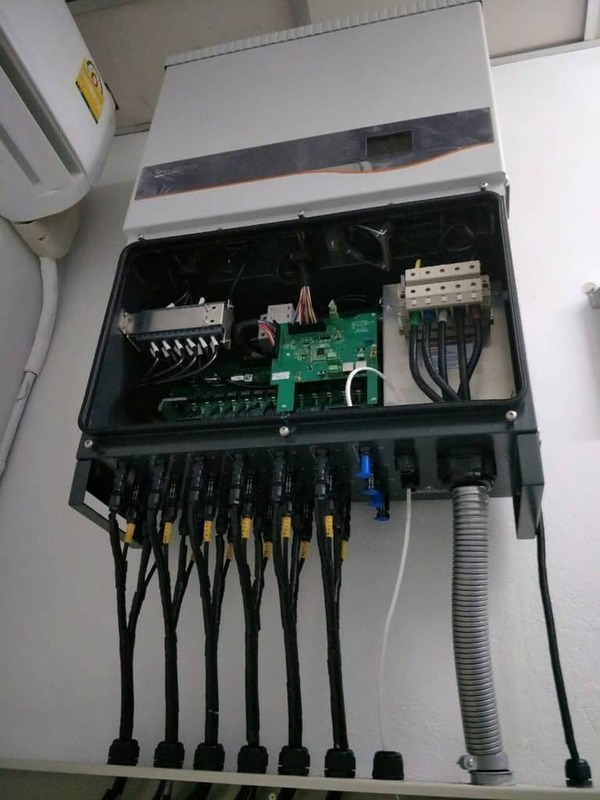 The system also has a weather station installed so that parameters such as Solar Irradiance, peak sun hours, total sun hours per day / month can all be monitored. The system is up and functioning as agreed, the performance is good, and everything is on track for a favorable ROI.